Most of the people buy a car for their routine usage. Hence this purchase decision is really important as you will be in need of a reliable and durable vehicle. The next thing that comes in buyers’ mind is the choice of a trustworthy dealership that offers hassle free purchase process and save you from any sort of pre and post purchase complications. This is exactly what Keystone Chevrolet serving Sand Springs, OK does for all the customers. If you are thinking to buy a new or pre-owned Chevrolet the wisest choice for the people of Sand Springs, OK and its neighboring cities and suburbs is Keystone Chevrolet. 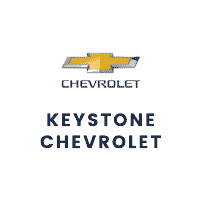 At Keystone Chevrolet we offer new and used inventory of Chevrolet cars, service center and spare-parts, everything at a one-stop shop. It has taken years for us to build this reputation and good will. We also affirm that all this reputation is just because of our customers’ satisfaction and the trust they have in us. Our every customer is our most worthy asset as they are the speakers on behalf of our dealership. We offer an entirely different and pleasant shopping and service experience with trust and transparency that will also save your precious time and money. Those who are on hunt of fresh arrivals of luxury cars, SUVs and trucks can fulfill their needs at our showroom. On the other hand those who are in a mood of saving a few bucks are also requested to see our featured used cars inventory. We also offer financial solutions to lease or loan your new vehicle with us at unbeatable interest rates. So take some time out and pay us a visit or browse our website to have a look at our new and pre-owned Chevrolet inventory and become a part of our dealership family.